As if I ever need an excuse to make cocktails, tomorrow is Elephant Appreciation Day and my good friends at 31Dover.com very kindly sent me a bottle of Elephant Gin in order to celebrate. 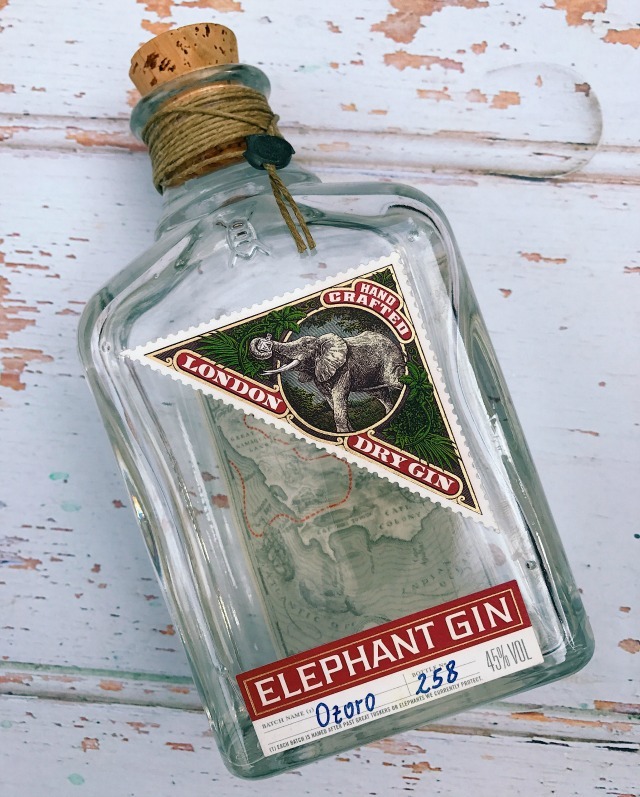 Elephant Gin is an independent London Dry Gin inspired by Africa, and 15% of all profits go to two African elephant foundations to support their preservation and that of African wildlife in general. It's distilled in Germany using fourteen botanicals, including some rare African ingredients which really give it a really distinctive spicy taste. Each bottle is custom made and priced at £29.95. Elephant also make a sloe gin which is utterly delicious and really warms the cockles (especially at this time of year when the weather's getting a bit chilly!). 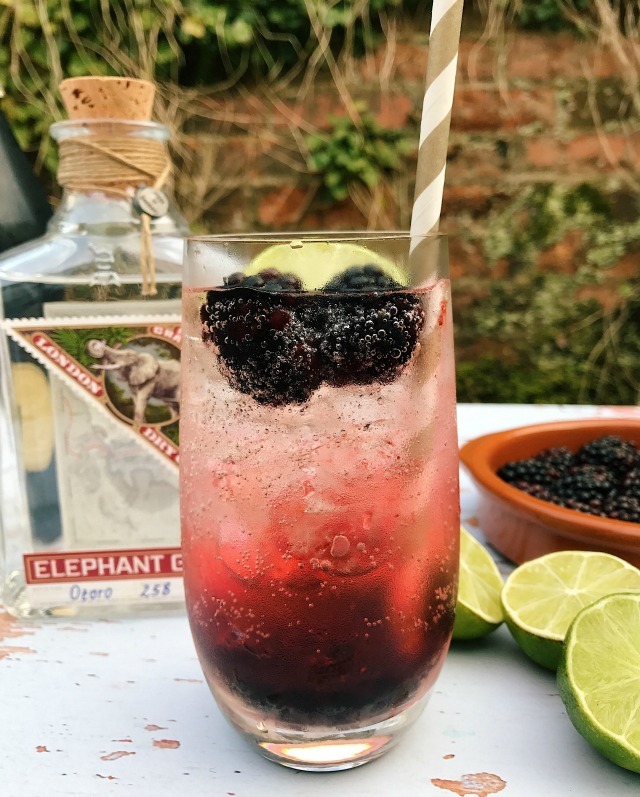 ALSO perfect at this time of year is a Blackberry Gin Fizz, and that's exactly what I made using my bottle of Elephant Gin. Use a fork to crush four or five blackberries in a bowl. Remove the cores if they're especially big. 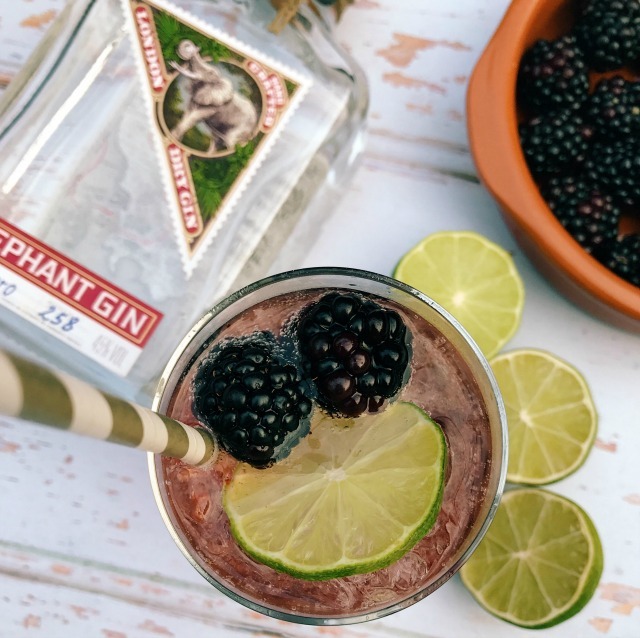 Garnish with a slice of lime and a couple of blackberries.